« CalPERS cuts LA Works pensions: Who’s at fault? A paper issued by Stanford graduates seven years ago helped shift public focus to what critics call a “hidden” pension debt. Now a paper issued by UC Berkeley’s Haas Institute last month argues that full pension funding is not needed and may even be harmful. The Stanford paper came after record losses in crucial investment funds expected to pay two-thirds of future pension costs. Whether investment earnings forecasts used to offset or “discount” future pension debt are too optimistic became a key part of pension debate. It’s not clear at this point, needless to say, that the UC paper will mark another turning point in the debate. But pension funding has not recovered from the huge investment losses nearly a decade ago, despite a lengthy bull market that has nearly tripled the Dow index. The California Public Employees Retirement System, only 63 percent funded last month, fears investment losses in another big market downturn could be crippling. Even a prolonged stagnant or slumping market could erode the management outlook. It seems possible (who knows how likely) that in the years ahead there may be a growing movement, out of necessity, to accept or rationalize low pension funding as normal, reducing the pressure for employer rate increases that are already at an all-time high. Seven years ago, the Stanford graduate student paper contending that California’s three big public pension funds had a shortfall of $500 billion, not the reported $55.4 billion, drew national media attention. The Stanford study, using the principles of financial economics, discounted future pension obligations using risk-free bonds, not government accounting rules that allow pension funds to use earnings forecasts for stocks and other higher-yielding investments. Responding to economic forecasts, not accounting theory, pension funds have lowered their forecasts. CalPERS and CalSTRS recently dropped their discount rates from 7.5 percent to 7 percent, increasing the need for more employer rate increases to fill the funding gap. Far from signaling that low funding is becoming acceptable, Gov. Brown told Bloomberg news early this month he thinks CalPERS, which covers half of all state and local government employees, will “probably” lower its earnings forecast again. The UC paper issued last month, “Funding Public Pensions: Is full funding a misguided goal?” by Tom Sgouros, did not get major media attention. A quick internet search finds articles in The Week, The Fiscal Times, and the American Retirement Association news. Sgouros argues that the Governmental Accounting Standards Board goal of full funding is needed for private-sector pensions but not for pensions offered by state and local governments, which are unlikely to go out of business. The paper examines the problems created by the accounting rules in eight different categories, including actuarial and political. The conclusion is that the rules result in the “waste” of government funds that could be used for basic services. A pension plan is “mutual insurance” for a group, not an attempt at “intergenerational equity” in which those who receive the services of government employees pay for their pensions, instead of pushing the cost to future generations. A cautionary example of extreme full funding is a federal law in 2006 requiring the U.S. Postal Service to estimate pension and retiree health care liabilities 75 years in advance. By 2015 the USPS had put aside $335 billion and was 83 percent funded over 75 years. The example in the paper of how pension funds that reach “full funding” tend to raise pensions and cut employer contributions is the California State Teachers Retirement System around 2000, as described in a Legislative Analyst’s Office report. The author argues that many union leaders have weakened their own position by demanding full funding of pensions and viewing suggested cost-cutting reforms as an attack on benefits. The paper quotes a source of support mentioned by other skeptics of the need for fully funding pensions, a report by the Congressional Government Accountability Office in 2008. “Many experts and officials to whom we spoke consider a funded ratio of 80 percent to be sufficient for public plans for a couple of reasons,” said the GAO report. Girard Miller, debunking 12 pension myths, said in a 2012 Governing magazine column the view that 80 percent funding is healthy comes from anonymous GAO and Pew sources and a federal requirement that private pensions take action when funding falls below 80 percent. Miller said pension funds should be 125 percent funded at the market peak. Based on equity losses in 14 recessions since 1926, a pension plan 100 percent funded at the end of a business expansion is likely to lose 20 percentof its value during an average recession. “A plan funded at 80 percent going into a recession will likely find itself funded at 65 percent at the cyclical trough — and that’s a toxic recipe calling for huge increases in employer contributions to thereafter pay off the unfunded liabilities,” Miller said. Now CalPERS is about 65 percent funded and phasing in the fourth in a decade-long series of rate increases ending in 2024. Getting back to 80 percent funding has been mentioned at the last two monthly CalPERS board meetings. As a five-year strategic plan was adopted in February, board member Dana Hollinger suggested that a goal of 75 to 80 percent funding in five years would be more “attainable” and “realistic” than the goal that was aproved: 100 percent with acceptable risk, beyond five years. Last week, Al Darby of the Retired Public Employees Association urged the board to reverse a short-term shift last September to lower-yielding investments expected to reduce the risk of funding dropping below 50 percent, another of the goals adopted in February. “Restoring public equity allocation to pre-2016 levels would contribute a lot to reaching the 80 percent funding status that we are all hoping to restore,” Darby said. This entry was posted on March 20, 2017 at 7:30 am and is filed under CalPERS, Funding. You can follow any responses to this entry through the RSS 2.0 feed. You can skip to the end and leave a response. Pinging is currently not allowed. I read your columns regularly and am impressed with your grasp of the complex issues surrounding pensions. Thank you. I am a CHP retiree- not an actuary. That said, when CalPers changed their investment strategy from equities to ârisk-freeâ bonds I intuitively sensed that they had done the exact opposite of what they should have done. The recent rise in the marked seems to have borne that out. What you have is Generation Greed. What we have is the future they have permanently diminished by their self dealing. The public employee pension crisis has caused the Democrats to be wiped out of statehouses all over the country. And now it is leading them to join what had been a long Republican policy, pre-Trump, of seeking to deceive the public. I don’t think it was pension losses that put all these funds in the red. 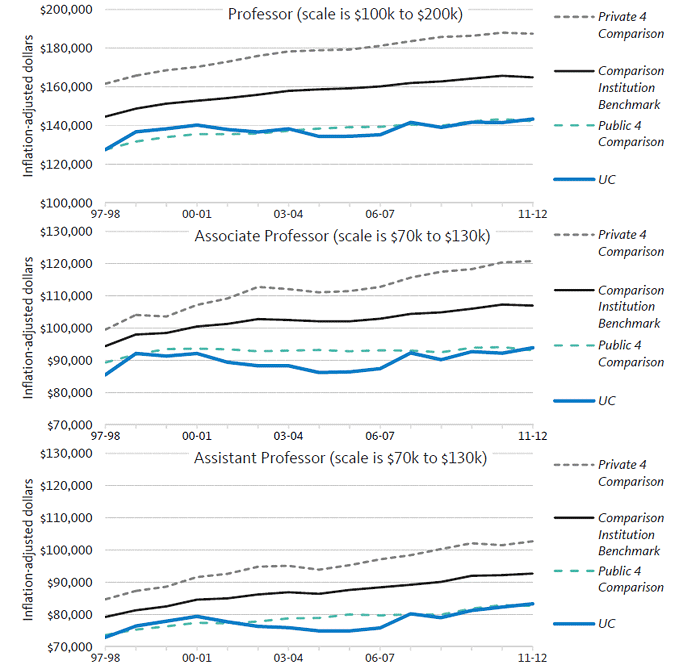 UC Retirement was so overfunded that they let the professors stop paying into it giving them a huge pay raise without going the normal bargaining process. The other funds were on their way to solvency until the greedy bunch got their hands on the corpus and began bumping up pensions retroactively. It is a spending problem. a scholarly paper from the American Academy of Actuaries on the MYTH that an 80% funding ratio is OK …… rather than the self-interested garbage coming from the authors of this UC paper. Q: Who funded this study. ? From a Hass Institute flyer promoting a 2/9/17 presentation …. It’s pretty clear that Author Tom Sgouros’ goal is supporting the current structure of ludicrously excessive (and hence costly) pensions for Public Sector workers ….. NOT a beef about GAAP accounting. Responding to JERRY W. CLEMONS …………. Yes, with the benefit of hindsight we all would have been 100% in equities over the past 7 or 8 years. But us mere Private Sector mortals must be wary of downside “risk”, because when it hit’s OUR investments it’s US that must suffer the consequences …. unlike PUBLIC Sector workers (and retirees) where you guys love big “risk” with the potential for big rewards, because you have a sucker …called the Taxpayers ….. protecting your AS* should things go badly. 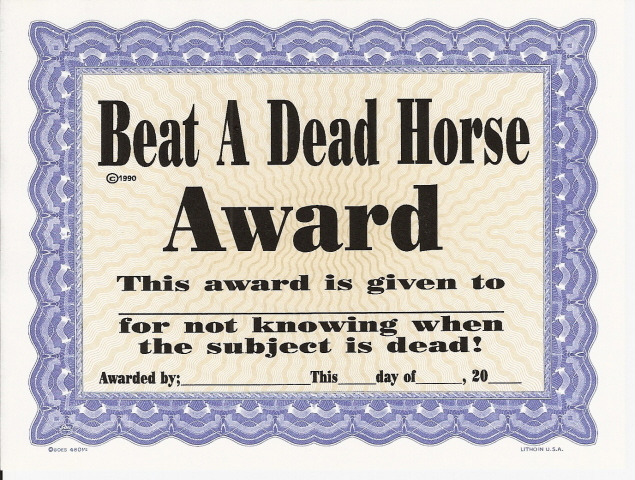 I hope you get all you “deserve” ….. which starts with loosing all retroactively applied pension increases throughout your career …….. ALL of which were nothing but a THEFT of Private Sector taxpayer wealth. After that’s taken away, the Taxpayers should STILL ponder WHY they should fund your basic pension which (when factoring in not just the FAR FAR richer pension formula factors, but also the VERY young full/unreduced retirement age, and COLA increases …unheard of in Private Sector Plans) is 4+ times greater in value upon retirement than those of Private Sector workers who retire at the SAME age, with the SAME pay, and the SAME years of service. Here is a novel idea: read the UC study,try to understand and analyize it befre making knee-jerk comments. Some people say UC salaries are held to be so much lower than comparable institutions precisely because of the future pension… but I’ve never heard anyone say that salaries were bumped up when UC, in 1991, stopped paying the employer’s contribution into the UCRS. UC Finance People usually say… if they had kept paying in, Gov. Wilson threatened to seize $ from the UCRS in 1991 unless UC quit paying in… and the UC budget was cut by, coincidentally, about the same amount needed for the employer contribution. Good to know full funding isn’t needed. As a retiree, I’m looking forward to collecting my COLA increase May 1 guilt-free! I’ll use my extra funds to buy some nice wine. I’ll raise a glass in Tough Love’s honor. Cheers! Well………… Spension, I see that you’ve crawled out from under your self-imposed exile after calling you out as a liar. Tough Love, this topic is “UC paper argues full pension funding not needed”. Your posting is off topic. I’m glad to briefly state: I admit that my comments made about you are true and that I told the truth by making them. I’m not exiled from anywhere. You’ve been called out as a liar, (see my above comment). Until you respond to that …. affirmatively acknowledging that your statements were false and you lied by making them I will continue to bring this up…………… unless you can prove me wrong by posting a clear Site/Date/Time link to my supposed statements. You seem as nutty as Trump, still digging your heals in ….. knowing that your YOUR self-created statements that you attributed to me are false. If they weren’t, I’m sure you would have ALREADY given the readers the Site/Date/Time linked-proof to the contrary. Called as a liar by… someone who can’t stick to the topic of the thread. Spension, YES, I AM calling you out as liar. Per above comments ………… the readers are waiting for any Site/Date/Time linked-proof from you to the contrary. The readers are waiting for Tough Love to grow up. What spension said, while not verbatim, is accurate. This is the Internet. Get over it. You lied to us when you said your were tall and handsome….. since you’ve been posting as Stephen Douglas as well as S Moderation Douglas, with the former showing your Facebook picture. You may be tall, but you’re an old goat and anything but handsome. I call you out as a liar, Tough Love. Now we’re even and its over. Let’s stick to the topic of the thread. BTW, all present value analyses have huge error bars. Now that would be progress… if all estimates of indebtedness included 68%, 90%, 95%, and 99% confidence levels. People have understood how to estimate confidence levels for over a century, and the computing power to evaluate confidence levels for securities portfolio has been around since 1960. But somehow, with $100’s of billions at stake, we stay in the dark ages at computing and presenting estimates of indebtedness. Weird. Sorry, Spension, but that’s not going to happen. You are a liar. Period. I need not repeat my longer comment above, the proof already posted above for any readers just joining in. But what I will do is continue to re-post that long comment …. calling you out as the liar that you are …..on EVERY new comment you make here or elsewhere … until you acknowledge that YOUR self-created statements that you attributed to me were false and that you lied by making them. Back to the topic, how does “full funding” apply to military pensions, as well as retiree health insurance and other “pay-as-you-go” pensions? “Generational equity” means this generation pays for the pension costs of those working today. SMD, The flaw in your logic is blanketly assuming ….”because risk in a defined benefit fund is shared across generations of workers”. The insurance concepts concerning “shared risks” that extend to Defined Benefit Pension Plans do NOT included risk sharing between generations. True risk-sharing is primarily limited to the mortality risk. While there is indeed investment risk, that risk is properly handled the way PRIVATE Sector pensions are REQUIRED (by the US Gov’t) to do so ….. by assuming a CONSERVATIVE return on invested assets (3% to 4% currently). (2) by using a high investment return assumption, the pensions promised Public Sector workers appear far cheaper than their true expected cost. “In a pure employer-based defined-benefit plan, the risk of varying returns to pension assets falls on the employer, and hence on some combination of the company’s workers (through effects on wages), its shareholders and taxpayers (through effects on profits), its customers (through effects on prices)’ and its past or future workers (if the company uses surpluses from some periods to boost benefits or reduce worker contributions in others). The appropriateness of that sharing across generations quoted is the “opinion” of it’s authors. Donald Trump also has lots of “opinions”. How many of his are correct ? That is not factual at all. The record of most US Corporations is that they reorganize either their pension funds (vesting executive officers with giant payouts, to drain the assets intended for rank-and-file to their executives) or their company to cannibalize their pension funds. To the extent there is government regulation, they use influence to evade it and to dump pensioner on the Pension Benefit Guaranty Corporation. There is *no* risk to the Private Sector… their attorneys and accountants specialize in making sure there is no risk and making sure the rank-and-file is no drag on their balance sheets, unless they are making a political point. Tough Love also has “opinions”. The opinions of these authors (and others) happen to agree with Ed Ring, apparently. Well, I’m not part of the California Policy Center (which I didn’t know even existed until you wrote that name) or any other organization whose business is California politics… I do find it curious that 3 of the larger California pension systems each found their own way to mess up… CalPERS with very generous mainline benefits, CalSTRS with “side” benefits, and UCRS with absence of employer contribution. Meanwhile, many states… Wisconsin, South Dakota, Washington, a few others… didn’t mess up. The problem somehow is California, not defined benefit. US Military Pensions are another huge messup… >$1 trillion projected deficit, rarely mentioned here. The fact is… all the projections have error bars. What the projections don’t do is report error bars. Because, in my opinion, they don’t want to be honest that all projections have errors… because people want absolute certainty in their future pensions. Which cues up the “risk-free bond” argument… an Esperantist argument, that just using the risk-free bond rate will solve everything. The simple fact is that the US securities markets outperformed the risk-free rate and always… you just have to wait long enough and stay in business during that time. Which can be very hard, but governments are the most durable organizations in US society. The real calculation that should be done is a probability of the pension fund going <0 in billions of simulations, given CRSP-informed fluctuating securities markets. The Esperantist "risk-free bond" idea misses that. Spension, You RARELY get ANYTHING correct. Yes, there ARE “giant” payouts to corporate executives, but they almost always arise from the exercise of growing stock options,…. because these executives have been done well for their employers. IRS-Tax-qualified) Plan have upper limits in the $220K-250K range annually. And so you don’t thing you’re off the hook…..
More delightful compliments when originating from the Madoff-loving Tough Love. Ellen Schultz documents how the private sector has drained the pension funds accumulated for the rank and file to executive payouts through the 2000’s. Not stock options, not the 1980’s. She is a Pulitzer Prize winning WSJ reporter. Spension, No matter how many comments you post, none will erase the FACT that you are a liar ….. readers see my long post above. Perhaps you should apply for a position in Trump’s administration. Being a pathological liar himself, he would likely welcome someone of the same mindset. oooohhh…. staying off topic and not responding to your own misrepresentations… the fact is that private sector pensions have little risk because lawyers & accountants make sure that the rank & file’s pensions in the private sector are drained to executives. Everyone sees your misrepresentations, Tough Love, and when you call someone a liar, everyone sees it as a badge of honor for the person you accuse. When you speak, there IS only one topic ….you are a liar. Admit it and we can move on, or repeated be reminded of it. Follow-up …..Spension, you have every right to disagree with anything (or everything) I say. But that must be presented as your OPINION of my comments …. accompanied by any true facts you have to support your position. But what you CANNOT do is self-create statements …. that i did NOT say …and then attribute such statements to me. Such statements ( SPECIFICALLY the 2 quoted in my long comment above) that you self-created and attributed to me were false, and that makes you a liar. Admit what you did ….. that the statements you attributed to me were NOT in fact mine, but YOURS, and this will end. If you still insist you were correct, that easy for you to prove. Just provide (for each of the above 2 statements attributed to me) a link with Site/Date/Time. Why thank you S Moderation Douglas. Tough Love just likes to push girls like me around. Let’s hope others in his life persist too. Spension, No one is pushing you around, just rightfully protesting when (me) being pulled into your lies. Naturally, Tough Love, if you disagree with someone, you define them as a liar. Perhaps especially so if you are mansplaining to them. Actually, I was referring to Tough Love. As I said before, your comments about Tough Love were accurate, if not verbatim. I assumed TL is a she, although that, too, is irrelevant. She has a lot of nerve calling out anyone as a liar. If you could just put “Tough Love” on the middle line, that would be fine. Quoting Tough Love, January 11. 2017 at 6.08 am…. SMD, Yes I made and stand by thiscomment….. But that’s a FAR FAR cry from when spension twisted it into. …and attributing it to me. YES, spension is a liar. Yes, S Moderation Douglas, particularly when Tough Love was specifically responding to the list of names: Boesky, Madoff, Milken, and Enron, and asserted that public sector unions and the politicians they influence are as bad as those people. The vast majority of members of public sector unions in California are like my sixth grade teacher … upside of 90 and getting in the neighborhood of $60,000 a year for 45 years of service. And yes, Tough Love certainly implied that she is worse than Boesky, Madoff, Milken, and Enron. When I say ………….”….. Public Sector Union/politician cabal” ……….. I see the words “Union” and “Politician” while you translate those words into the word “worker” (specifically your 6-th grade teacher). Why? You can disagree with me all you want, but you cannot attribute to me that which I didn’t say. Uh… maybe because my now 90+ year-old 6th grade teacher (in a public school) is a member of a Public Sector Union you assert can’t hold a candle in thievery to Madoff, Boesky, Enron, and Milken. You clearly accused her through that connection. But maybe you want to contest what the meaning of is is. Ha! Got that backwards! You said Madoff, Boesky, Enron, and Milken can’t hold a candle to the union my 6th grade teacher is a member of. Whoops. Spension, C:EARLY there is a difference, The “workers” (in most cases) aren’t the problem, The problem is the collusion between their Unions and NJ’s self-interested Elected Officials (aka “Politicians”). Yet the workers remain in the Unions and accept the benefits negotiated for them by the leaders of their organizations. Want a deeper perspective? In American society we worship greed. Greed is good. Forgiving greed in the private sector is what you do. I don’t want to forgive it in either the public or the private sector. That interest groups lobby the government due to self-interest is hardly new or newsworthy in US society. I do not “forgive greed” in the Private Sector. We all chose our battles and my is the outrageous pensions and benefits granted (with ZERO justification) Public Sector workers …. because of have many years of experience in understanding it’s magnitude and what it HAS DONE and WILL CONTINUE TO DO to Americas Cities and States. It you want to protest Private Sector greed, have at it. but Do NOT take my words and transform them into something different, and say that those new self-created words (by YOU) were mine. Doing so make you a liar. And you’re NOT off the hook, without your admission that i did NOT state the 2 things that you attributed to me (in my long comment above), I will continue to call you out as a liar, wherever and whenever I see your comments. Tough Love, you are fine with the American taxpayer subsidizing similarly (actually worse, because they are the driving term that pushes the public sector to be greedy) outrageous private sector behavior. Yes, you have a plank in your eye, and you want to hold others accountable for the splinter in theirs. Me? I want clear eyes everywhere. Back to this thread: GASB and all future accounting is hopelessly archaic in my opinion… the “risk free” bond rating is just another Esperantist one-size fits all non-solution. Using the best simulation techniques and CRSP, the best way to go is… set funding to make the probability of going bust 0.1%. Of course there will be errors in that, but smaller than the non-thinking of “risk free”, GASB, etc. I don’t go about changing your statements about the misdeeds of Corporate America (or anything else) into derogatory statements that I self-create and then attribute those statements to you. But that is exactly what you have done to me multiple times (see my above long comment with links abive). And THAT makes you a liar. It apparently is available for sale on Amazon, but not available in my local library. Ellen Schultz “Plunder” book IS available, and I will pick it up Monday. Until then, I found there is a “Retirement Heist” website that has some other interesting articles. (I think I have read parts of Greenhut’s book, anyway, as excerpted articles. I sure wouldn’t pay for it. There you go… you’re the one that says that the frauds of the private sector (all of whom served jail time) are not as bad as the completely legal lobbying and influence practiced by Public Sector Unions (like that of my 90-year-old 6th grade teacher). QED. Your problem seems to be …. beside being a liar as I have clearly pointed out in above comments…… that opinions (yes “opinions”) that differ from your own, or commentary which doesn’t discuss subjects that YOU seem to insist that OTHERS discuss (e.g, your insistence that I discuss YOUR pet peeve … the misdeeds of Corpoprate America) is unacceptable. Have a talk with your paster, your therapist, whomever. It doesn’t work like that. Uhhh… you are the one who brings up the private sector all the time. Everyone here knows I’m no liar… I just point out facts you find uncomfortable, and your way of dealing with those uncomfortable facts is to mansplain to me. You just bully girls, I suppose, because you can’t imagine they know things you don’t. Perhaps your therapist or Pastor (my paster isn’t interested, BTW) could help you. spension, Yes, you ARE a liar. We know that you are a liar, but are you nuts as well? SIEPR is described as the Stanford institute to Eviscerate People’s Retirement, for a reason. SIEPR and the Koch’s State Budget Solutions are on the same page.